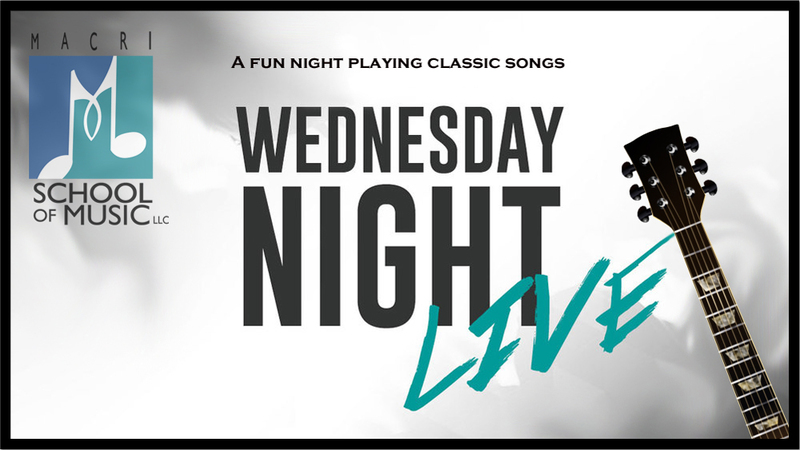 Macri School Of Music is proud to present "Wednesday Night Live". This free event is welcome by all. We will play classic rock and blues songs in a group setting. Bring your guitar (acoustic or electric with small amp) Open to all levels. Contact us today to reserve your spot. Copyright ©2018. Macri Music. All Rights Reserved.